After new reports of government surveillance of consumers, tech companies are stepping up to call for new limits on spying. As discovered yesterday, if you're played an MMO, the US government has its eyes on you. The government has been monitoring tech companies' customers' data for quite a while, but eight companies, led by Microsoft and Google, have joined together to urge reform. We understand that governments have a duty to protect their citizens. But this summer's revelations highlighted the urgent need to reform government surveillance practices worldwide. The balance in many countries has tipped too far in favor of the state and away from the rights of the individual - rights that are enshrined in our Constitution. This undermines the freedoms we all cherish. It's time for a change. For our part, we are focused on keeping users' data secure - deploying the latest encryption technology to prevent unauthorized surveillance on our networks and by pushing back on government requests to ensure that they are legal and reasonable in scope. 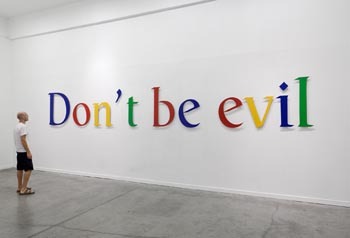 The eight companies list five principles to their call for reform: 1) limiting governments' authority to collect users' information, 2) oversight and accountability, 3) transparency about government demands, 4) respecting the free flow of information, and 5) avoiding conflicts among governments. Telecom companies were not included, and they have had a much stronger relationship with the US government. That isn't to say that the eight tech companies included in the proposal haven't cooperated with requests for data. The proposal doesn't go unappreciated, though. These tech giants have billionaire founders who are sought after in politics as donors. The government would be wise not to push the tech industry and consumers away.